What is a ‘small business’ and why is it important? When starting a small business, there's a few things you need to consider. This includes what kind of structure you want to set up and how you plan to operate. All businesses need to be aware of their legal requirements and what they need to do under the law. If you've stopped trading, you should consider closing your company or cancelling your business name. This means you don't need to pay your annual fees or keep your details updated with us. We've compiled a range of small business resources from different organisations to give you all the information you need. Learn what government is doing to help small business in this webinar, with host Elysse Morgan and representatives from ASIC, ATO, ACCC, FWO and the ASBFEO. What books and records should my company keep? How to resign as a director. A new suite of resources developed by ASIC, the Australian Taxation Office and the Department of Industry and Science are available to help small business owners choose between operating as a sole trader or under a company business structure. Comprising guides, comparison tables, key reminders and more, the suite explains key differences between operating as a sole trader and company, a company director’s responsibilities, and how to change business structure. Visit the business.gov.au website at www.business.gov.au/soletradertocompany for more information. From 12 November 2016, the existing unfair contract term protections for consumers will be extended to cover standard form small business contracts. Small businesses enter into standard form contracts every day for financial products and services. Contracts for business loans, credit cards and client or broker agreements, for example, are almost certainly standard form contracts. The new unfair contract term protections will apply to standard form small business contracts entered into, or renewed, on or after 12 November 2016, where the up-front price payable under the contract does not exceed $300,000 – or $1 million if the contract is for more than 12 months. For more information read ASIC's guidance on new protections for small businesses against unfair contract terms. ASIC's Be MoneySmart is an online training resource developed to help VET students improve their money management skills and support their future careers in small business or as contractors. For further information, visit ASIC's MoneySmart website. Australian Competition and Consumer Commission (ACCC) - ensures that individuals and businesses comply with Australian competition, fair trading, and consumer protection laws. Australian Small Business Commissioner - represents small business interests and concerns to the Australian Government. Australian Taxation Office (ATO) - manages Australia's tax, excise and superannuation systems. ATO viability assessment tool - You can use this tool to help you determine whether a business is viable. business.gov.au - offers information on planning, starting and growing a business. Fair Work Commission - national workplace relations tribunal, carrying out a range of functions relating to minimum wages and employment conditions, enterprise bargaining, industrial action, dispute resolution, termination of employment and other workplace matters. Fair Work Ombudsman - a gateway to information and advice about Australia's workplace rights and rules. anything else covered by an award, enterprise agreement or other registered agreement. First Business app - thinking about starting your own small business? ASIC's First Business app can help you get started. MoneySmart - an ASIC initiative offeringfree and independent information to help Australians make the best choices for their money. Small Business Clearing House - a free online superannuation payments service that helps small businesses with 19 or fewer employees meet their superannuation guarantee obligations. 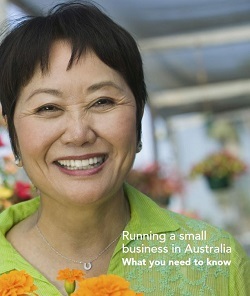 business.gov.au - offers information and resources on planning, starting and growing a business.